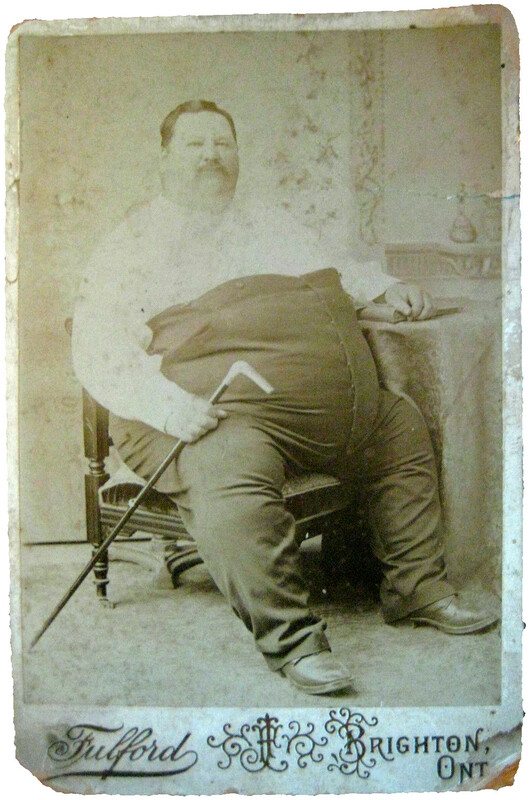 Leonard Whitton born in Ontario in 1852, - sold himself as the 'fattest man in America' and worked with a travelling circus. 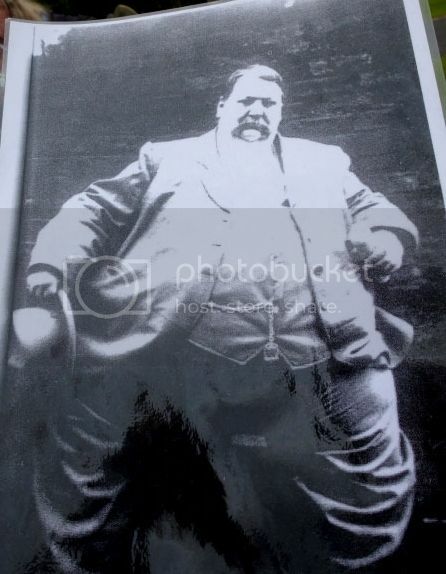 He ended up settling in the UK, in Macclesfield, Cheshire, all 700lbs of him - 52 stone. Eeek! Leo lodged in the Orange Tree Inn where he was fondly accepted and would charge sixpence a time to see him, becoming a local attraction. 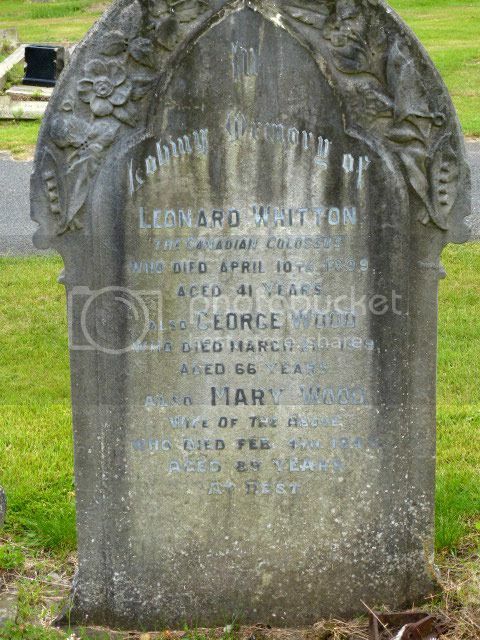 When he died, unsurprisingly of heart failure in 1899 at the age of 41, he was so big that he had to be hoisted out of the pub window in a specially built coffin and lowered onto a cart with no sides. Once the funeral procession reached Macclesfield Cemetery it was discovered that the grave diggers had actually not dug the grave big enough for this almighty coffin. By the time the diggers had returned and finally made Leo's grave big enough, quite a gathering was there since word had got around. The other two people in the grave, George and Mary Wood are the pub landlord and lady of the Orange Tree Inn - all reunited.